We all love to look good everyday. So if basic tricks with simple makeup products can help you do that, then why not try? Here’s how to get the ‘no makeup’ glam of the celebrities in no time! This party season, being a headturner got easy. All you need to do is, simply opt for a hair makeover! After wearing reds, pinks and blond streaks on my hair, I chose to opt for a ‘wash and go’ hair cut and an efforlessly natural hair colour. This is quite a trend globally as it suits every outfit and I can try out different hairstyles without going over the top. Thanks to Farmavita Salon for this Italian grooming. 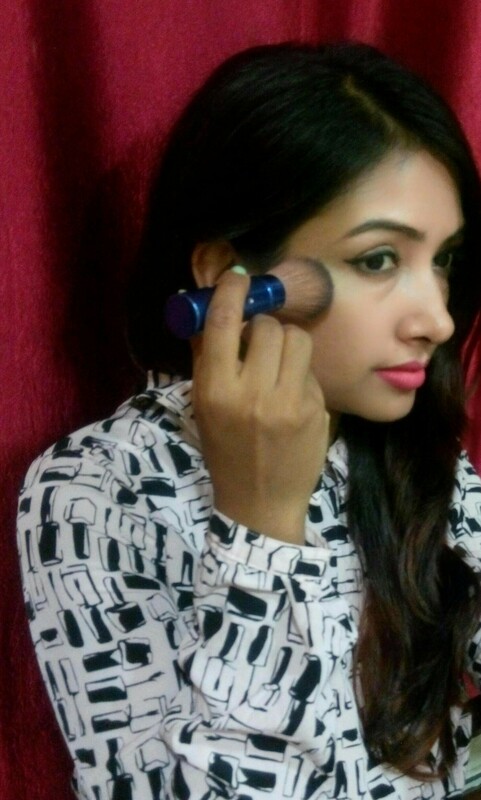 While applying makeup is an art, removing every trace of it from you face requires skills too. In fact, you may not know that sleeping with makeup on leads to wrinkles and breakouts as well. If you stop being lazy and simply upgrade your beauty hauls, here’s how you can make sure that your skin looks stunning with, as well as without makeup! To master the right technique like a pro, watch my step by step You Tube video. Makeup can not only transform the way you look but also the way you feel. That is what makes a beauty product ‘wow’. A few magic wands and colour palettes can simply reinforce the self-confidence of a woman. I love wearing makeup and recently I tried the Spring 2016 makeup collection from the Italian brand – DEBORAH Milano. ♡ The soft, smokey eyeshadow palette has 5 shades and different textures to choose from. ☆Going by my mood and outfit choice, I can pick from moss green to blush pink in matte, pearl or satin finish. ☆The brush is unique and effective in reaching the inner corners of the eyes as well. ☆In fact, this angular brush can be used to redefine my eye shape quite effortlessly. ♡ I apply the Divine Volume & Curves mascara to finish my eye makeup look. With just two coats, I can pretty up my lashes and make my eyes look bigger instantly! ☆The texture of the lipsticks are semi-matte with a hint of glossy finish that’s trending currently. 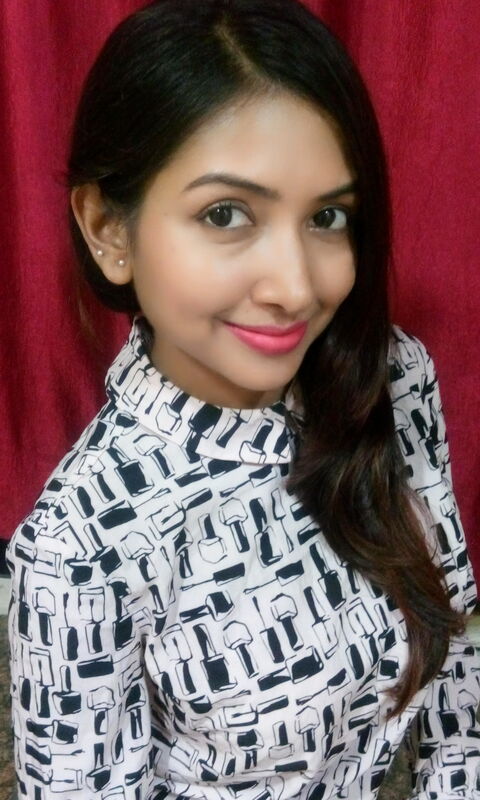 ☆The lipsticks simply glide on the lips to make the pout look attractive. The colour stays on for long and does not dryout my lips. ☆Also, the SPF 15 ensures sun protection for the day. How to do makeup on the go? Let’s face it, people will always judge you by the way you look. How you present yourself in front of the world makes that wow difference. So why not put an extra effort to do your makeup even when you are on the go? ■FACE: A naurally flawless skin is always desired. Now you can create the illusion of the same with a good base. Blend in the concealer and foundation for a seamless finish and touch it up with compact to set the makeup. ▪BEAT THE HEAT: Keep blotting tissues handy. Gently dab the sweat while you are out in the open instead of using wet wipes that remove makeup and make you look patchy. ■ EYES: For the day, keep the eye makeup soft and subtle. ▪CUT SLEEPINESS: with a hint of shimmery pink on the upper lids and inner corners that will open up your eyes beautifully. ▪DARK CIRCLES: Use a colour correcting concealer and add a dash of shine powder. ▪PUFFINESS: Apply an ice cube before you begin makeup. ■LIPS: Apply a lip balm to soften your puckers. Remove the excess and also dead skin with blotting tissues. ▪Use a soft pink lip colour for the day. ▪MEETING READY: Bright lips hold attention as you speak, so define your pout with a warm shade of red that is pretty and not OTT! Try them to put your wow self forward each day! Like they say, it’s all in your eyes and guess what, your eye makeup literally holds all attention. SEPHORA being that one-stop shop for all my beauty needs, I dropped by to the latest outlet in India at Palladium, Mumbai to indulge on a Saturday afternoon. The quickest way to refresh the spring summer beauty kit is by changing the colour palette. The WoW colours that are trending right now are pink, peach and purple that can brighten up your face instantly. ☆Apply a pink eyeshadow on your upper eyelids. ☆Add a purple shadow to the crease of the eyes and blend it in seamlessly. ☆You can wing out the ends and brush out the lashes with two coats of mascara. Wear this look for the day and add a hint of glitter for the night. When you look good, you feel great and probably work better? So now you can try some trendy makeup for work and hold all attention at the boardroom quite effortlessly. • Try #Strobing by highlighting your facial bones, with shimmery powder but make sure to blend it in perfectly with your BB cream. Let the world see only your natural glow! • Define your eyes with a sleek line of eyeliner and pretty up the lashes with coats of mascara. • Keep the hairdo simple and stylish with a defined side parting and a chic finish. • Wear subtle accessory like studs or mini ear rings to keep the over all look power-packed and classy.